Home / aircraft / aircraft nerds / aircraftnerds / boeing / Boeing 707 / Boeing Aircraft Naming / How boeing aircraft are named / How Boeing planes are named / Naming / nerds / How are Boeing planes named? If you take a close look at commercial Boeing aircraft naming. You will observe that most of Boeing aircraft are named like 7X7. It means names starts & ends with 7. 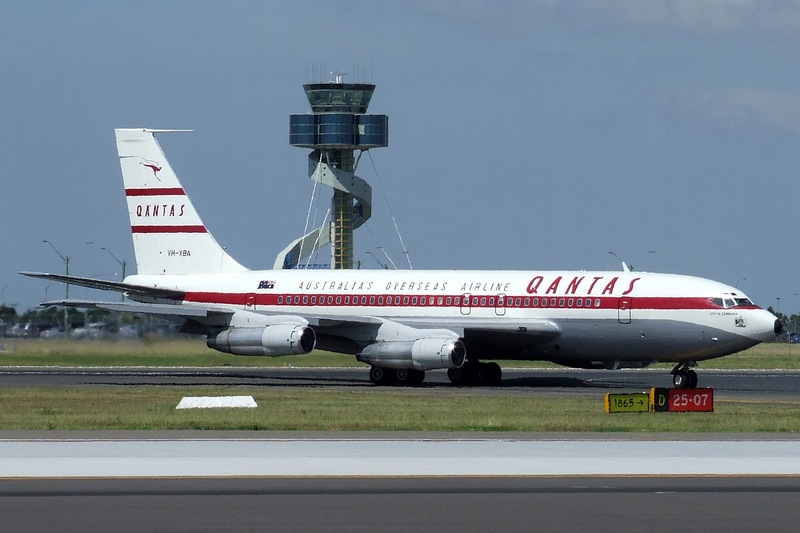 First Boeing aircraft to name like 7X7 was Boeing 707. There were many myths about the Boeing 707 name. Maths lovers & engineers were saying that name 707 was because sine of swept angle of wings of Boeing 707 was 0.707. But it wasn't true as swept angle of Boeing 707 was 35° and not 45°! Some people believing in superstitions were saying that as number 7 is lucky that's why Boeing aircraft was named like 707. But none of these were true. Boeing has assigned sequential model numbers to its designs for decades such as Model 40, Model 80, Model 247, Model 307 Stratoliner and Model 377 Stratocruiser., etc. Initially, Boeing was just military aircraft manufacturing company. But William Allen decided to expand their business to commercial airplanes, and pursue the new fields of missiles and spacecraft. To support this diversification strategy, the engineering department divided the model numbers into blocks of 100 for each of the new product areas: 300s and 400s continued to represent aircraft, 500s would be used on turbine engines, 600s for rockets and missiles and 700s were set aside for jet transport aircraft. At first, The 707 prototype was called the 367-80, or "Dash 80." 367-80 jet powered model of Boeing was made after modifications in propeller-driven aircraft 367 which was better known as KC-97. As 367-80 was jet powered aircraft it has to be named according to decided series i.e 700s(for jet transporter) But for company's first commercial aircraft name 700 was not so catchy. Hence Boeing business team decided to name their aircraft as 707 (Pronounced as Seven Oh Seven). Following these patterns, Boeing is naming their aircraft as 7X7 till date. But this is not over yet! Boeing names their aircraft as 7X7-ABC (e.g. Boeing 747-400) where ABC is any three digit number. Now, what is the mystery of that ABC? Actually, that ABC is Boeing's Customer code.